I wasn't sure when to start this as I only have two "limiteds" at the moment (well, I suppose the second one really isn't a "limited edition" in the general sense) and I have more on the way coming at the end of the year but I figured I'd give it a go. Apologies for the poor images. 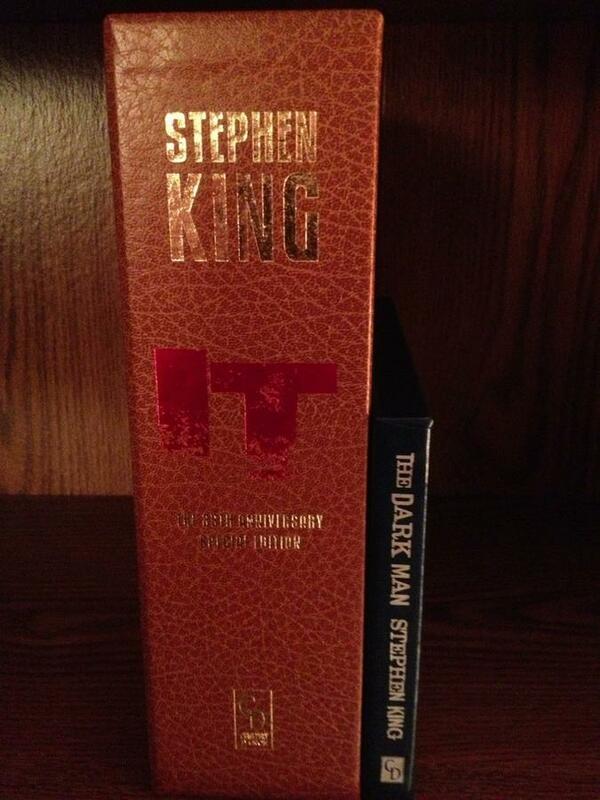 The "It: 25th Anniversary Special Edition" will probably remain my favorite even when I get more. It is my favorite book of all time and I really love the production on this. The cover art is one of my favorite pieces, it's my desktop wallpaper at the moment. It's my first LE and I was a bit hesitant to get it given the price, but I figured I'd kick myself if I didn't. I'm a UMass Lowell student, so when Stephen King came over I was able to go to a semi-private Q&A session (about a hundred or so people). I brought It along in a duffel bag just in case and afterwards a handful of people had brought some books as well so I asked him to sign mine. I was a little nervous given his thoughts on limited editions but he was very friendly and was like, "Wow, Cemetery Dance!" 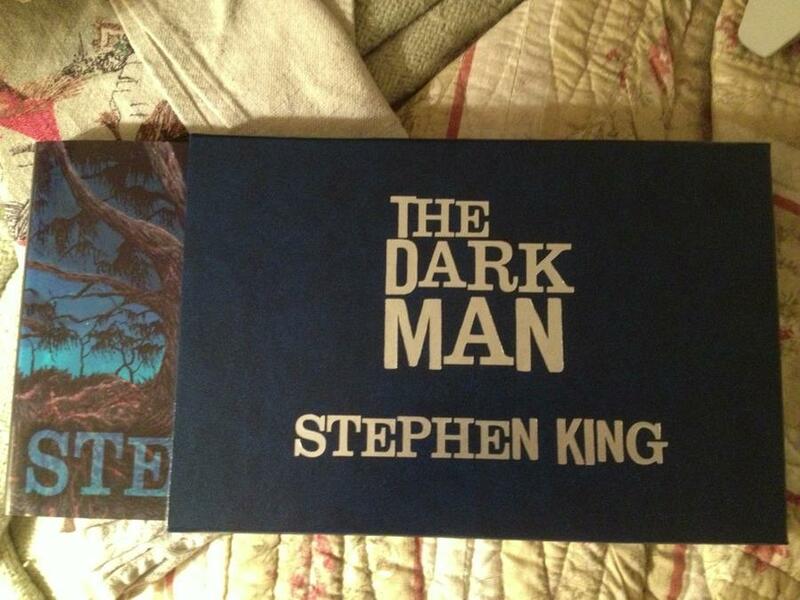 The Dark Man came in for me today and since I ordered from Overlook it came with a free signed "plate" from Chadbourne. A hound will die for you, but never lie to you. And he'll look you straight in the face. Look forward to seeing more from you !!! Thanks! I really like all the Pennywise memorabilia you have. Well, I guess that being a fellow IT aficionado you can understand the .... hmm .... obsession ??? HUGE congrats on the inscribed IT! 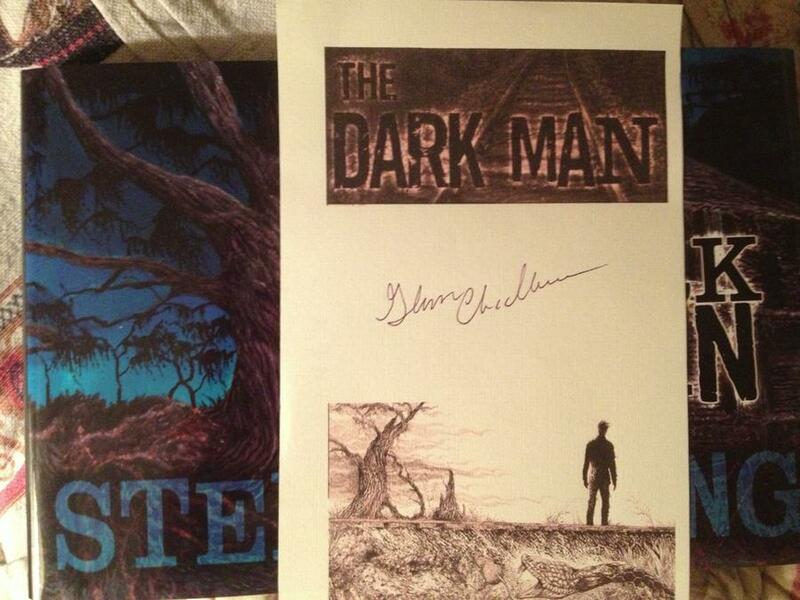 So cool your favorite novel is inscribed to you and done in person. Congrats for the inscribed IT, great start for a collection thread !!! Great looking books. Love your inscribed & signed copy of IT. What a fantastic start to your collection thread, Philip. That Chadbourne signed plate is kind of nice too. I like it. Great start on your collection. I think most people in Calvin's corner love a new collection thread. The inscribed IT is just fantastic! Congratulations! Keep 'em coming! I like what I'm seeing so far! Great inscribed IT! My favorite book as well. 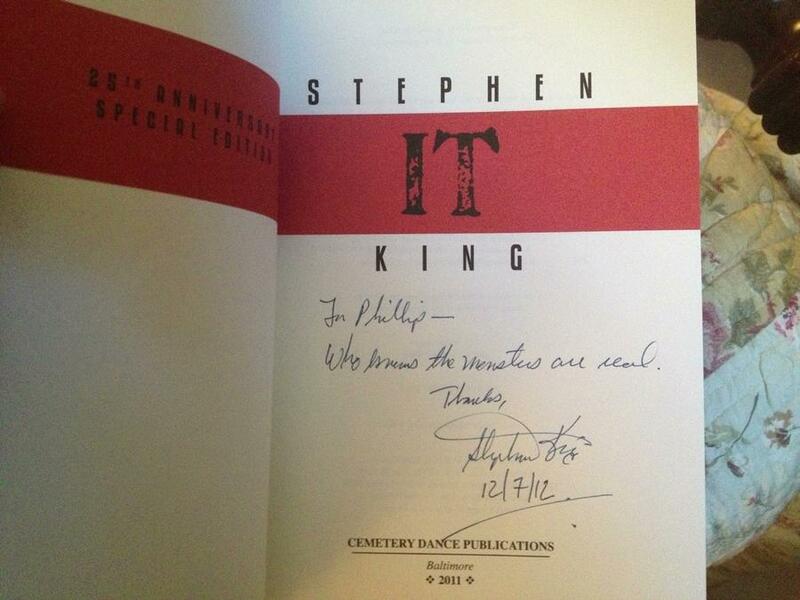 I only have one inscribed book and it really is a treat, especially because nowadays King seems to only flatsign. 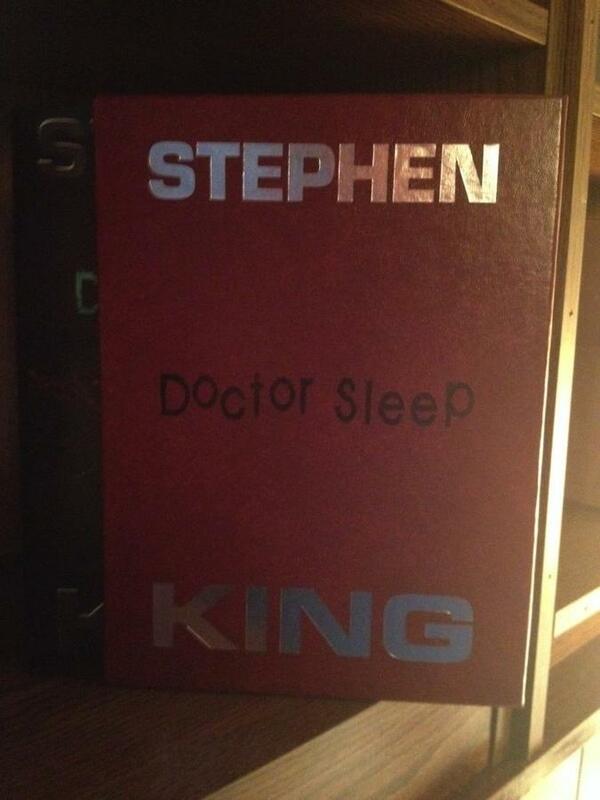 Doctor Sleep came in today. Apologies again for the camera quality, I'll try to retake them eventually (I keep them in an area where there's not a lot of light facing them which is good for the books but not so good for photos). Also NOS4A2 came in last week but I've yet to take it out just because I'm a bit hesitant to handle it without the slipcase and because I need to put away some time to carefully read the bonus material (as opposed to just flipping through it to see the illustrations). That is one cool inscription in It. I'm jelaous of everyone who has a book inscribed to them. Resale value be damned, King inscribed the book TO YOU. 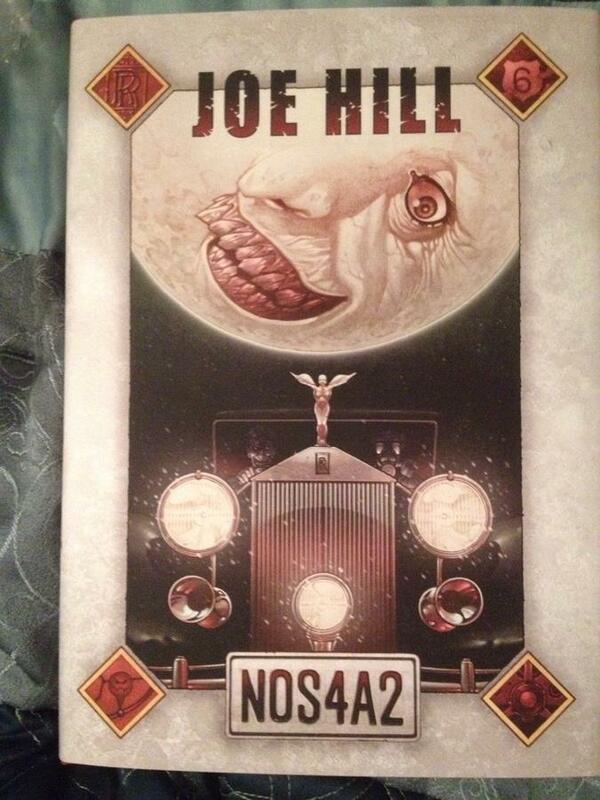 Got around to opening my NOS4A2 today. EDIT: Almost forgot, these were from a Joe Hill signing around when NOS4A2 first came out. Figured I'd post them now. He also signed a couple of other comics. 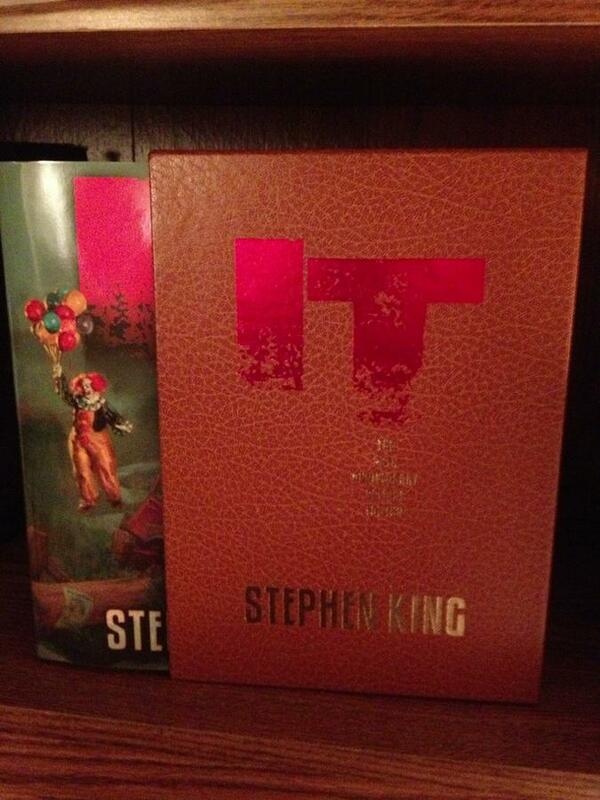 Love the inscribed & signed "IT", nice looking books. 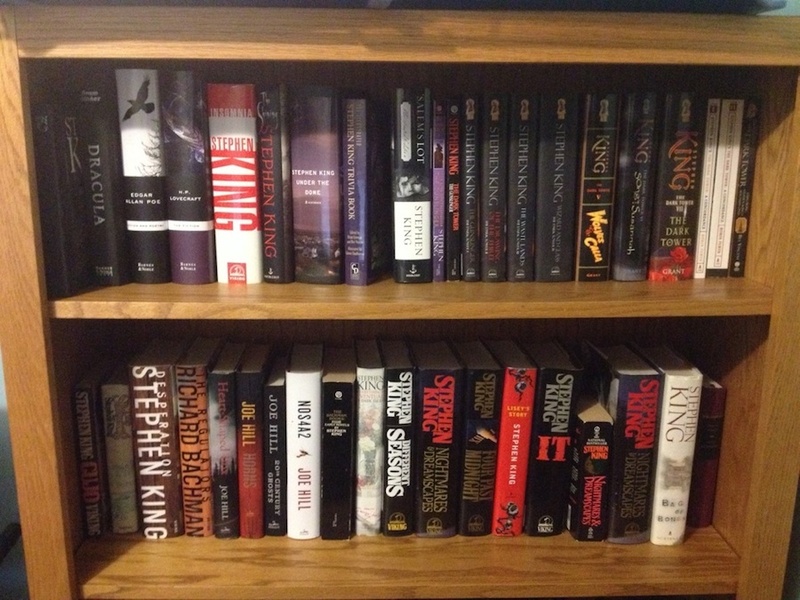 I was asked about it at the CD forum, so this is my normal book collection or about a third of it. I have some more scattered around the house and there's another bookcase downstairs that's a bit disorderly at the moment. 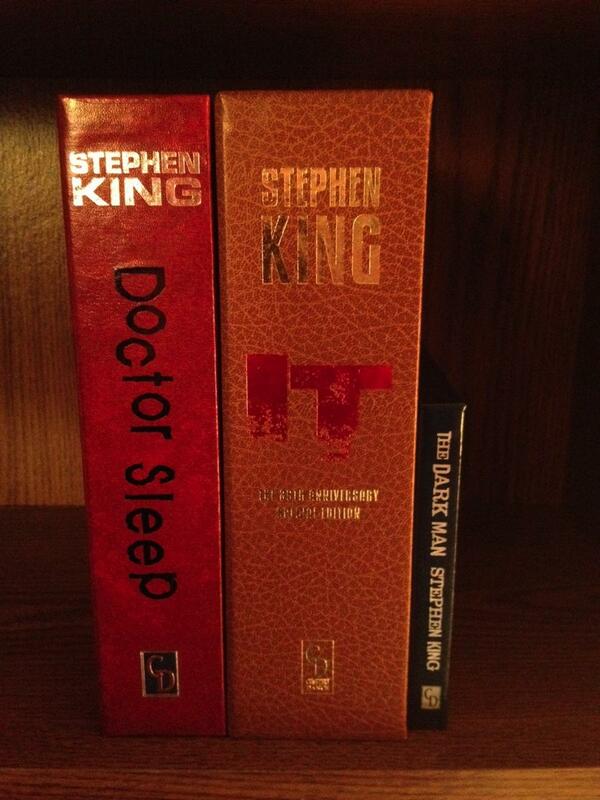 (If anyone's wondering those aren't first editions of The Shining and Cujo but book club editions I got from a library sale.) Also the book at the left corner is the pop-up edition of Girl Who Loved Tom Gordon. And like many others, I'm drooling over your signed gift edition of IT! Very nice! Dust jacket for The Shining SNL.